Leather magnetic dog collar. 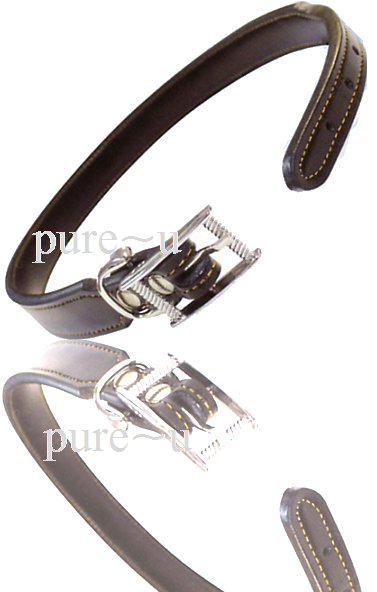 This collar has high power magnets all around the collar giving you a larger magnetic field. Most companies use only one magnet we are providing you with a collar with several high powered magnets. fits up to 24"
Remember our collars have magnets placed with in them so we recommend not to use a lead if your dog pulls and is very strong our collars have a ring for name tag purpose's.